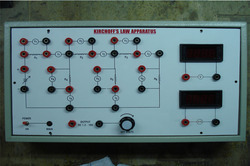 We are actively engaged in Manufacturing and Supplying wide range of Physics Lab Instruments, Electronics Instruments, Optical Lab Instruments, Electrical Lab Instruments, Chemistry Lab Instruments, Mechanical Lab Instruments, Microprocessor Instruments, Communication Lab Instruments and Testing And Measuring Instrumennts. 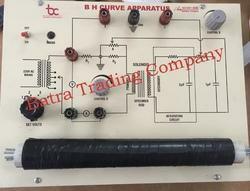 These products are manufactured at our infrastructural unit using superior quality raw material and modern technology under the supervision of our professionals. The offered range is well known for their durability, high performance, less maintenance, reliability, easy to operate and long service life. 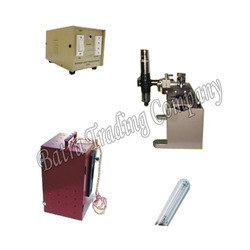 Providing you the best range of diode laser kit, holography interferometry kit, laser kit, constant deviation spectrometer and particle size measurement kit with effective & timely delivery. 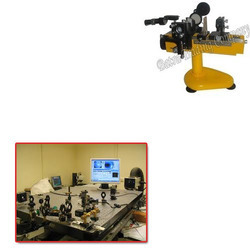 We are a leading Manufacturer of two beam interference, nodal slide assembly, fabry perot interferometer, optical bench and spectrometer appratus from Ambala, India. 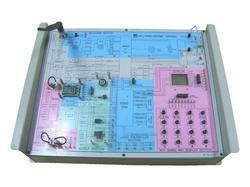 Our range of products include led tv trainer kit, lcd tv trainer kit, analog and digital trainer kit, tv trainer kit and load cell trainer. 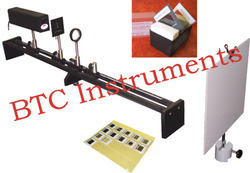 Our product range includes a wide range of bi prism assembly, inverse square law, two beam interference, lummer broadhome photometer and research optical bench. Solid-state physics is the study of rigid matter, or solids, through methods such as quantum mechanics, crystallography, electromagnetism, and metallurgy. 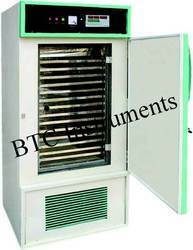 It is the largest branch of condensed matter physics. 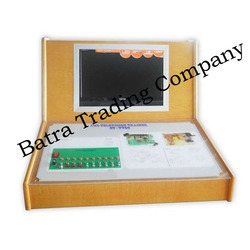 Manufacturer of a wide range of products which include 8086 microprocessor kit, pc interface microprocessor kit, strain gauge trainer, lvdt trainer and 8085 microprocessor trainer kit. 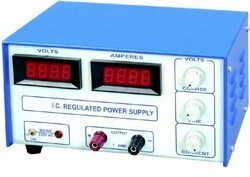 Manufacturer of a wide range of products which include dc regulated power supplies, photo diode characteristics apparatus, pn junction diode ch appts, helium neon lasers and battery eliminators. 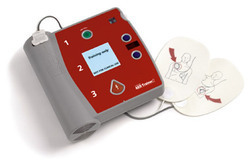 Offering you a complete choice of products which include telephone trainer, dsb sc modulation demodulation, numerical fibre optic trainer, pulse amplitude modulation demodulation and pulse code modulation demodulation. 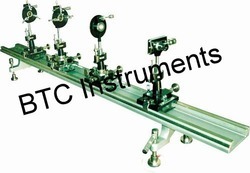 Our range of products include air wedge - thickness of a thin wire( travelling microscope), tunnel diode characteristics apparatus, electric kettle apparatus, ujt charterstics apptratus and thermocouple trainer kit. 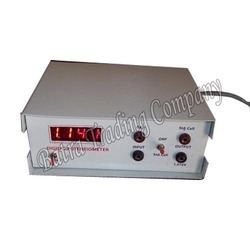 Our product range includes a wide range of calibration thermocouple trainer, dead weight pressure gauge tester, emissivity measurement apparatus, mass transfer lab and air conditioning refrigeration. 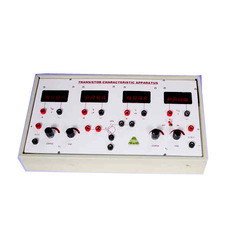 Pioneers in the industry, we offer digital potentiometer, millikan's oil drop apparatus, laminar air flow, magnetic stirrer and atomic model set from India. 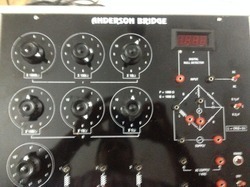 Our range of products include anderson bridge, mega ohm meter btc, weins frequency bridge, hay's bridge and maxwell bridge. 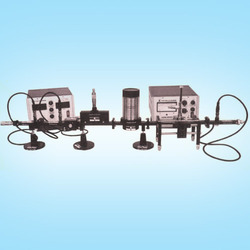 Pioneers in the industry, we offer ultrasonic diffraction apparatus, fourier analysis kit, verdet's constant appratus farradays effect, ultrasonic waves velocity in a liquid medium and digital rf oscillator from India. 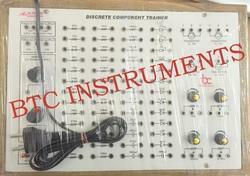 Providing you the best range of kvl/ kcl trainer, diac charaterstic apparatus, opamp trainer kit, op amp as series regulator and network theorems with effective & timely delivery. 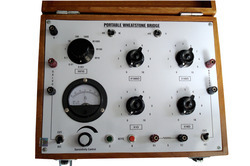 Pioneers in the industry, we offer portable wheatstone bridge, crompton potentiometer, kelvin double bridge, electro convulsiometer and million meg ohm meter from India. 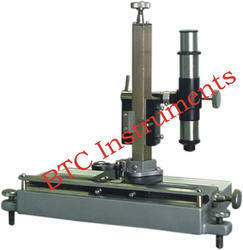 Prominent & Leading Manufacturer from Ambala, we offer michelson interferometer for optical labs. 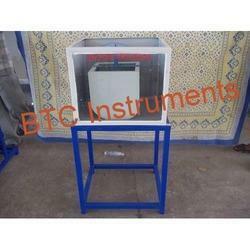 BTC Instruments With the active support of our team of experts, are engaged in offering a huge gamut of VLSI Trainers Kit. 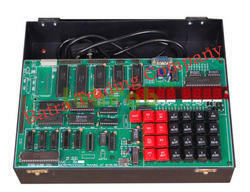 This superior quality Universal VLSI Trainer is offered with Piggy Bag Modules compatible of XILINX 9572 CPLD , 95108 CPLD, Spartan XC3S50 FPGA and XC3S400 FPGA, 16 Toggle Input Switch and 16 output with LED indication. 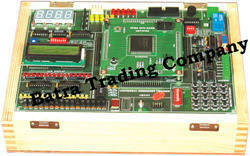 These are offered with On board 4 Digit Seven Segment display, 16x1 LCD and 4x4 Matrix Keyboard, On-board ISP Programmer for Piggy Bag Modules, Clock generator generating 10MHz, 5MHz, 1MHz, and 100 KHz & 100 Hz and with an In-Built Power Supply of 5V/1.5A, ±12V/250mA. 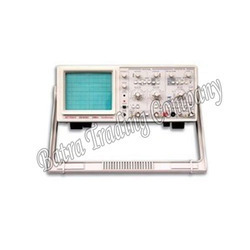 We are a leading Manufacturer of oscilloscopes, cro 20 mhz, audio signal generator and function generator digital from Ambala, India. 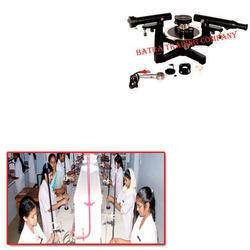 Manufacturer of a wide range of products which include newtons ring apparatus, spectrometry kit, bh curve characteristics apts, four probe setup and resolving power of a telescope. 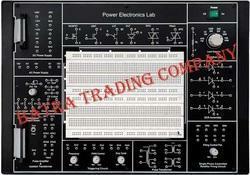 Offering you a complete choice of products which include pnp emitter transistor apparatus, 0 - 32v / 2a, 15v / 1a tracking, 5v / 5a multiple dc power supply, battery eliminator and mathematics kit. 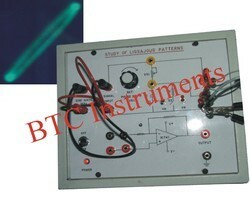 Offering you a complete choice of products which include hall effect experiment, nmr experiment, study of balmer series & rydberg's conxtant, e/m by magnetron method and lissajous figure apparatus physics labware. 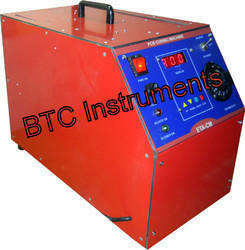 The finest experimental facilities in the country rely on BTC Instruments Hydraulic Engineering Labs for accurate analysis and superior precision. 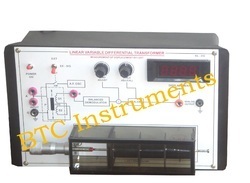 Our equipment of Hydraulic Lab explain the principles of bernoulli’s theorem, continuity, momentum and many more concepts that are applied to fluid motion. 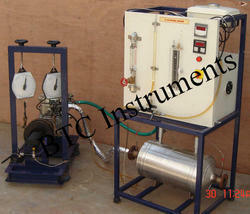 The Hydraulics Laboratory offers many testing facilities including fluid mechanical, hydraulic machinery, wind tunnel, flow channels and computer-controlled equipment, pumps etc. 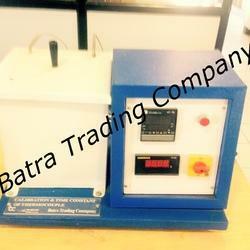 Offered by us is a wide range of high quality Fluid Mechanics Lab Apparatus to the esteemed customers. 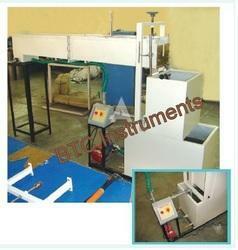 These lab apparatuses are manufactured in compliance with the international quality standards, by our team of experts. 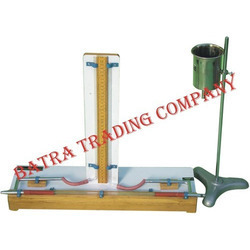 In addition to this, we check Fluid Mechanics Lab Apparatus on certain well-defined parameters to gauge its flawless nature. 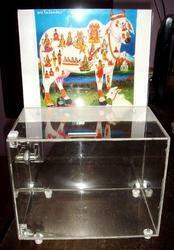 Our range of products include gouy's method, g.m. 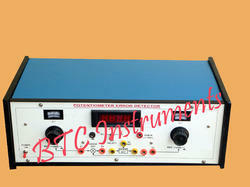 counter digital, measurement of susceptibility of solids by gouy's method, magnetoresistance in bismuth measurement instrument and stefan constant kit. 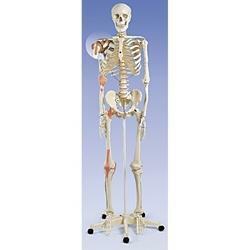 Pioneers in the industry, we offer human skeleton, human heart, human stomach model, mensuration kit (acrylic) and sextant from India.